The newest release from Trumpihawk Boss just arrived at your doorstep and you’re excited to build it. But wait! The rivet counters on your favorite forum are lambasting the kit for its many inaccuracies. The nose is misshaped, the intakes are too high, the canopy shape resembles that of the prototype not the production variant, there are panel lines that shouldn’t be there. “It’s a caricature of the actual aircraft,” says one observer with an annoying affinity for hyperbole. Whether you’ve learned to love rivet counters or not, you stare at the model wondering how the designers could make such obvious mistakes. We'll I can tell you. In fact I'll give you five reasons. The designers may have used inaccurate plans. The manufacturers don’t always have access to the plans and schematics from the original manufacturer, so they use what they can find. 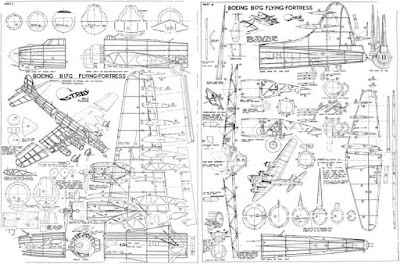 For many of the aircraft, armor, ships, and cars we build there are two, three, or more sets of plans floating around out there in books, magazines, or online. The designers choose one, believing (or hoping) they’re correct. Clearly, when they’re not, mistakes in the plans are reflected in the model. From the conversations I’ve had with insiders familiar with the model design process, the designers employed by the manufacturers are often design generalists. They’re not necessarily aviation or military enthusiasts like you and me. They might be designing parts for a refrigerator on Monday and designing the canopy of the upcoming Su-35 on Tuesday. They’re not familiar with the subtleties of your favorite subjects. It’s not surprising that they don’t “see” that gentle shape of the rear fuselage of the F-4 Phantom or notice the different angle of a Sherman glacis plate between the early and late variants. When a subject matter expert is involved in a project (and we’ve recently seen a number of kits that are reviewed by modelers during the design process), there can be communication challenges. With many kits being designed in Asia or Europe there’s no guarantee the designers will be fluent in English, so when the expert sees an error in an early design image, communicating the nuance of the recommended change can be a challenge. For example, I have a basic understanding of Spanish; I know common words and phrases (and can certainly look up words I don’t know), but I’d be hard-pressed to assemble a clear, coherent explanation in Spanish of why the nose of the Trumpeter 1/72 Su-34 is wrong. And a Spanish designer might have a hard timely clearly understanding precise instructions I give him. And I should point out that even when a third-party expert is consulted it doesn’t mean that the manufacturer will follow their guidance or that the expert is provided anything other than the CAD images. I don’t have any evidence to back up this theory, so I’d be eager to hear from anyone who can set me straight, but I have a feeling there’s no quality assurance check of the basic design of a new model prior to its going to production. The manufacturers hire designers, whether full-time or freelance, and give them the responsibility to design a model. But who checks their designs? I suspect it’s a product manager, but who’s to say that he's familiar enough with the subject to determine whether the designs are correct or not? He could look over the CAD drawings and declare, “Well, it looks like the photos of the Fruitbat Mk IIc that I’ve seen,” but would he notice that the exhausts are incorrect or the wheel hubs feature five bolt heads rather than six? Probably not. So the manufacturers release kits based on the best efforts of their designers. Finally, this leads me to the most likely reason your favorite model is inaccurate, the Dunning-Kruger effect. This concept suggests that we mistakenly consider ourselves to be more intelligent or to possess higher skills than we actually have. The guy who designed that inaccurate kit you bought thought it was accurate. He did the very best he could given his experience, skill, and resources available. But it turns out he wasn’t quite good enough to get everything right. The Dunning-Kruger effect explains why you feel slighted when your model doesn't win at a contest...even though the wings weren’t aligned or you missed a seam on the stabilizer. Or why a chef at a restaurant featured on Kitchen Nightmares believes he's serving amazing food even though the restaurant is on the verge of bankruptcy because no one eats there. If Tamiya is producing the most accurate kits in the hobby, it's due in large part to their hiring the best talent. You can read more about the Dunning-Kruger effect on Wikipedia. Being aware of these factors should give you a clear understanding of just how difficult it is to produce a perfectly accurate kit. 5. The designers are the very best in the industry and — ideally — aviation, military, naval, or automotive enthusiasts themselves. That’s a tall order by any measure! I can imagine Formula 1 teams to be very protective of their designs! Asking for modelers' input certainly improves the reputation of a manufacturer...and raises expectations! "That’s a tall order by any measure!"... yes but the most important thing is the producer's ability for introspection and openmindness. Does the producer ask himself "Could we have done something wrong in our development process ? If so, could we implement actions to improve the situation ? What would these actions be ?". Not all producers ask themselves the first question and the answers would vary a lot. Model kit producers are often modellers themselves and that may lead to a certain sclerosis as the producer projects his vision of how the product should be designed instead of listening (and filtering). Good point. Model manufacturers are no different from any other company. Some seek constant improvement and some are content to maintain the status quo. According to this post, manufactures be like "we don't know what we are doing, so here is our new scale model kit" and we'll get something like Trumpeter's Seafang F.32 – it took me just 20 minutes to realize that "designer" made a mistake even in markings of a single (sic!) flying prototype available, while photos were available on the internet for years. There is no excuse for producing 1/50 kit and put 1/48 on the box, for reducing "unneeded" details to make it easier (for manufacturer) to produce several versions of a kit, for not knowing English when your products should be available world-wide, for not communicating with community in the Era of Internet. I think it's just a matter of attitude, and let's support only those who's really trying to do their best. True. The best product will usually win. Usually. Yes, agree that there are many modelers who just don't care and that's totally OK. And (maybe) that's why many manufactures don't care too. But, what is not OK is how community absorbs poor quality kits (in terms of "rivets count") sometimes. After I've discovered that that Seafang kit I've just bought was a complete crap, I've started seeking for reviews of this kit on the Internet, and what I've got was "It's a good kit, well molded, nice prototype, blah-blah-blah". What's the reason for writing such reviews, if you don't really dig into even some very basic information about a prototype? Reviews should be a way of communicating back to manufacture, not the way of misinforming people. Brilliant point, Dmitry... Incompetent reviews are quite like badly designed and manufactured kits: Their authors so too often lack the knowledge that is necessary in order to correctly evaluate the quality of a complete kit,an aftermarket accessory or decal sheet. The above not wanting to take into account that the reviewer has got a hidden connection with the manufacturer itself; this being the worst case I could ever think of. Good to know! I haven't decided whether I'll buy the AFV Club kit to replace the Tamiya kits in my stash, but you might have convinced me! Email me at scalemodelsoup@gmail.com if you'd like to share your list of corrections seen on the kit. I'm curious and I think my readers will be, too. Right. And that's the challenge of anyone trying to build a business (and make a profit): finding the balance between price and quality. I can think of a couple more reasons. The designer doesn't have unlimited time to make the kit absolutely perfect. Once some wrong data gets into his design, the errors will propagate as he is forced to fudge the rest to make it all fit together. Also, the alleged inaccuracy may not exist. Often it's the difference from a published drawing that sets the critics off, but draftsmen make mistakes, too. 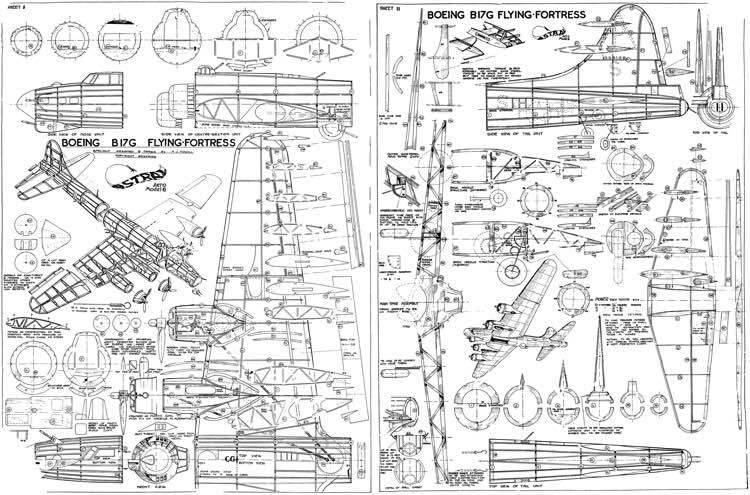 Lots of published drawings have the same sorts of mistakes you find in kits.